The Lobby Court bar is regarded for its fabulous dirty martini. Our elegant Cleveland hotel, built in 1918, reflects the city's unique sense of style and rich cultural history. Sumptuous and luxurious, our guest rooms are relaxing oases of peace, while the Lobby Court bar exudes class. And that's even before you've tried its signature dirty martini. Cleveland Navigator Matthew will be more than happy to talk you through the near endless entertainment options just outside our front door, including the must-visit Rock & Roll Hall of Fame. Business travelers can benefit from our stylish and functional event space and ballrooms, which can be adapted to suit any occasion. A locally owned and operated Ohio-themed clothing and merchandise store. 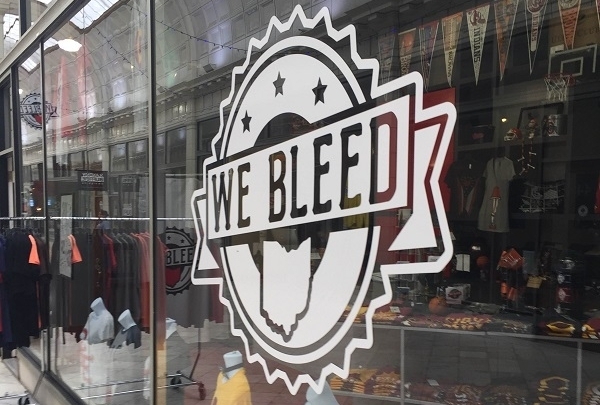 We Bleed Ohio is a fantastic place to get a history lesson on this fine city through the art of fashion. An all-around great bar and eatery. 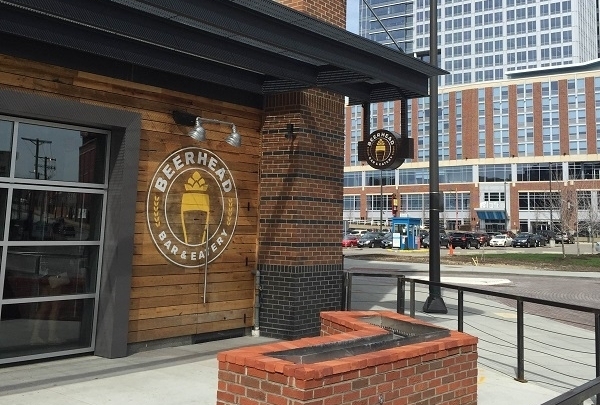 Recently opened in the new East Bank of the Flats, Beer Head has quietly made a name for itself to Cleveland's beer loving locals. This is thanks to their endless list of beers on tap and in bottles as well as their made from scratch small plate menu. A friendly staff and relaxing atmosphere is assured to all that venture to this local favorite. One of Cleveland's finest eateries. 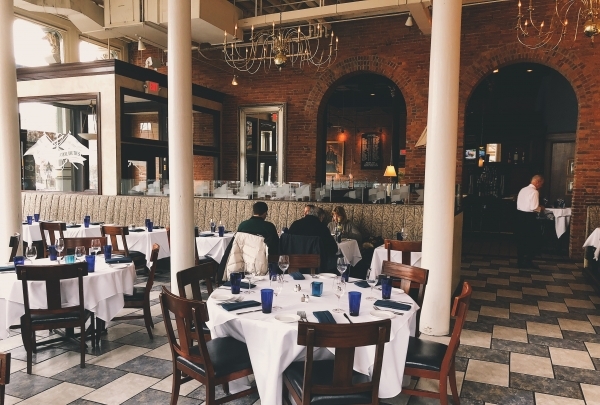 Voted "Cleveland's Best Restaurant" for 15 consecutive years, Blue Point Grille is a classy seafood restaurant right in the middle of downtown. With new menus every week reflecting the freshest fish available, Blue Point Grille is a classic that will stay with you long after you leave. One of the world's great institutions. Recently reopened after a $350 million dollar renovation, this landmark institution has something for everybody. Browse it's vast halls of art and sculpture from legendary artists such as Vincent Van Gogh. Claude Monet and Andy Warhol. Admission is free to the public. 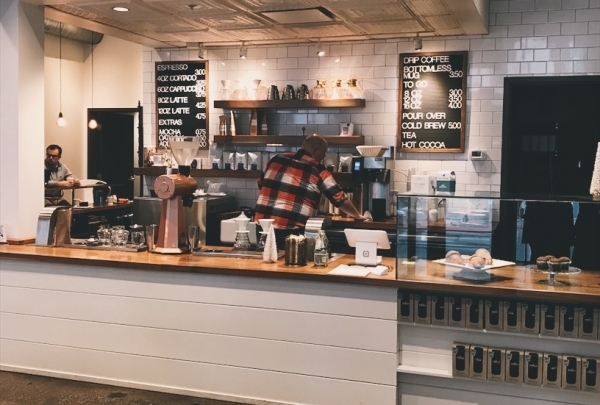 Trendy local coffee shop located in the heart of downtown Cleveland. With great coffee and great people, Pour Cleveland is not to be missed. With some of the finest sourced coffee, Pour offers a variety of drink choices from their espresso and pour over bar. With fresh pastries from a local baker and free Wi-Fi, Pour is the perfect place to relax or catch up on some work. Explore this delightful historic market with fresh local foods. Built in 1912, West Side Market is one of the oldest operating indoor marketplaces in the country. 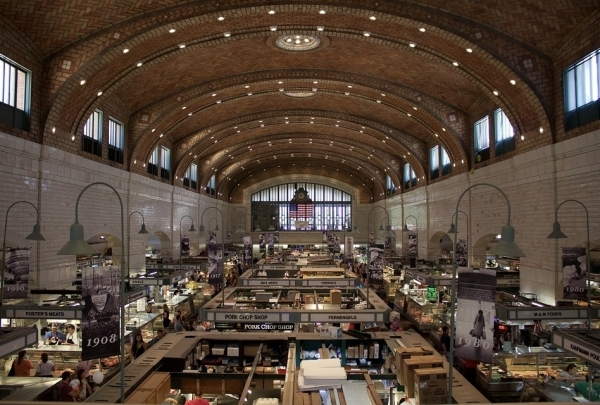 West Side Market is both an architectural and culinary landmark of Cleveland's Ohio City neighborhood. It features local vendors from all over the Cleveland area. First indoor shopping center in America. This treasure of downtown still stands as strong as it did when it first opened in 1890. 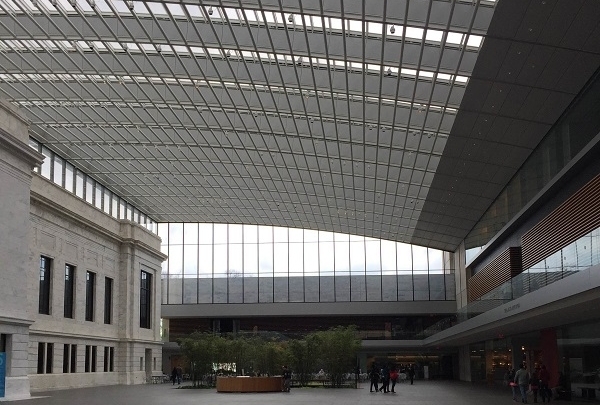 With local shops, spas and restaurants filling its grand atrium these days, The Historic Cleveland Atrium is set to continue its grandeur for years to come. Fantastic sushi served in the historic 5th Street Arcades. Don't miss happy hour between 4-6pm! Family owned and operated, Sushi 86 was originally a four-seat only sushi bar, now expanded into the 5th Street Arcades. Sushi 85 offers a Summer home atmosphere where guests may comfortably enjoy fresh, expertly crafted food. 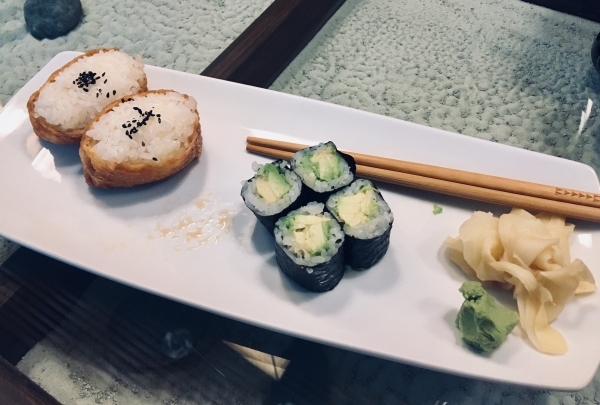 While serving traditional fare, Sushi 86 also offers gluten-free and vegan options. One thing not to miss here is the wonderful collection of Japanese whiskeys. The food here is incredibly fresh, delicious and full of flavors. The food is excellent and the service is equally outstanding. Family owned and operated, the attention to detail at this restaurant is high. 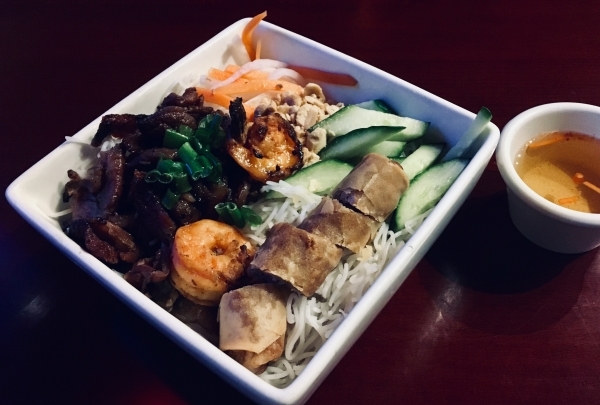 Saigon is great for a quick lunch or a leisurely dinner with friends and family. Check out the fried banana for dessert. 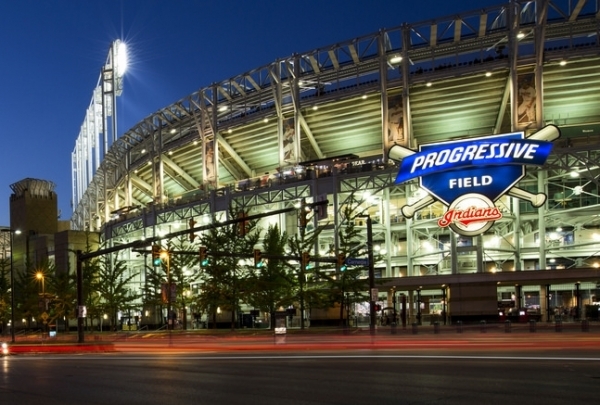 Live out your stay like a true Clevelander by cheering on the Cleveland Indians. Progressive Field is conveniently accessible to the hotel through Tower City Center. Whether you're there for the regular season or the World Series, Progressive Field is a fantastic venue to enjoy a ball game. Progressive Field also has a variety of food options featuring local restaurants such as the Butcher and the Brewer. 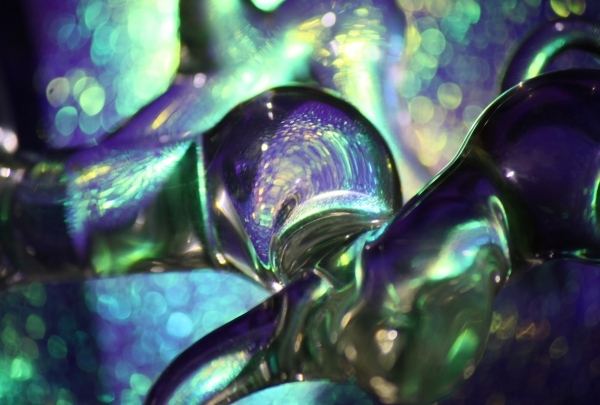 The hand-blown glass creations here make beautiful décor or gifts. They even offer classes so you can create your own work of art! If you are looking to decorate your house or office space with unique work of art then a visit to the Glass Bubble Project would take care of your needs. Specializing in artistic creations from recycled metal and hand-blown glass, this eco-friendly store and workshop has been catering to some of the leading hotels and private houses across the country. Take a pick from the collection of hand-blown glass chandeliers, vases and scones that would adorn the interiors of your establishment in a unique way. If you are keen on picking up the craft, then the store also organizes classes in company of local artists. Lively area in the heart of downtown. Located in the Gateway District of downtown, East 4th Street is a very well known strip of bars and restaurants. With the House of Blues, Pickwick and Frolic and two Michael Symon restaurants, East 4th Street has something for everybody's tastes. With magnificent monuments and gorgeous greenery, Lake View Cemetery is a beautiful attraction that cannot be missed. Located in the University Circle neighborhood of Cleveland, Lake View Cemetery is named for the views of Lake Erie that can be seen to the north. 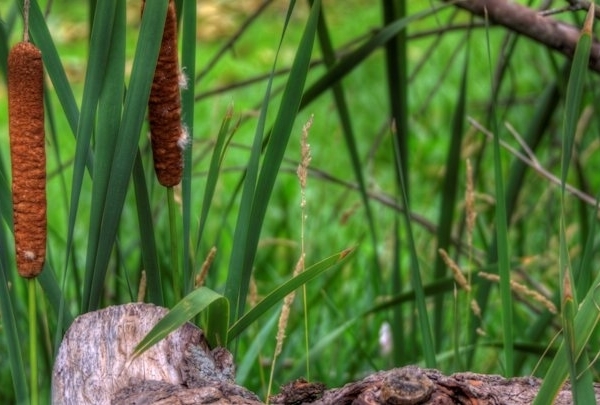 It is known as "Cleveland's Outdoor Museum" for its expanses of greenery and biological diversity, as well as its monuments, including the James A. Garfield Memorial and Wade Memorial Chapel. There are more than a hundred thousand people buried here, including some of Cleveland's best-known historical figures. Food truck maven Chris Hodgson has unveiled his eponymous brick-and-morter location in downtown Cleaveland. While food trucks have made a big splash in the gourmet foodie scene, Cleaveland chef Chris Hodgson has decided to translate his mobile success to a permanent establishment in downtown. Adding a little more elegance to his space than his truck, the interior is a pleasantly modern affair in wood and red leather. Comfort food comprises the bulk of the menu, ranging from cornbread to shrimp and grits and more. A long, narrow pub opens up into a large casual patio at humble Irish pub Carney's Top O' the Flats. Carney's Top O' the Flats is a cozy neighborhood Irish bar with plenty of charm. The interior is small, consisting of a long narrow room, but there's also plenty of space to spill out onto the back patio. They even set up a fire pit when it's cold outside. Pick your favorite song from the jukebox and unwind with a cold beer. The friendly service and happy hour specials will ensure you come again. 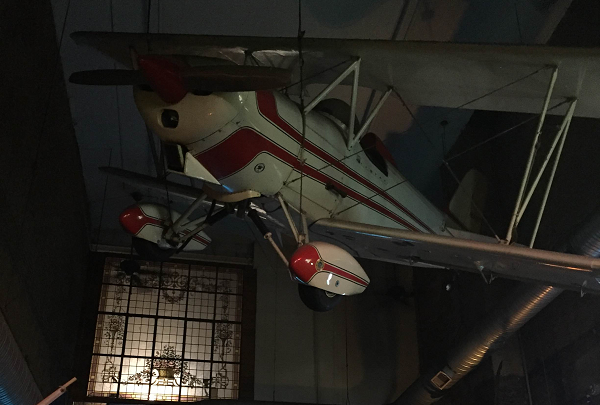 Not your average cafe, pop in for one of their killer espresso drinks or for a cold pint with some friends. This casual cafe and pub wears many hats. From local pub, restaurant, to coffeehouse, A.J. Rocco's is a hot spot for bustling activity every day of the week. 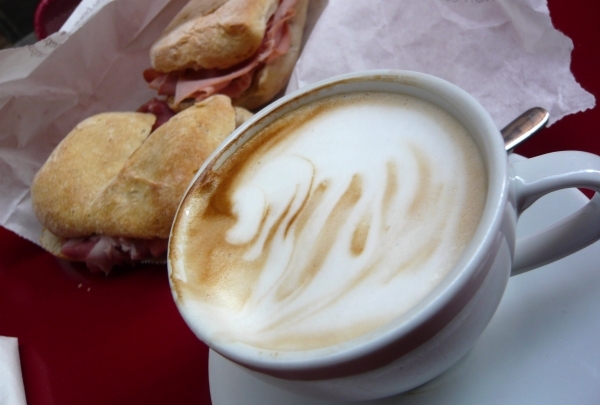 Stop in midday and try one of their freshly made soups or grab a gourmet espresso drink, like the toffee coffee. In the evenings, A.J. 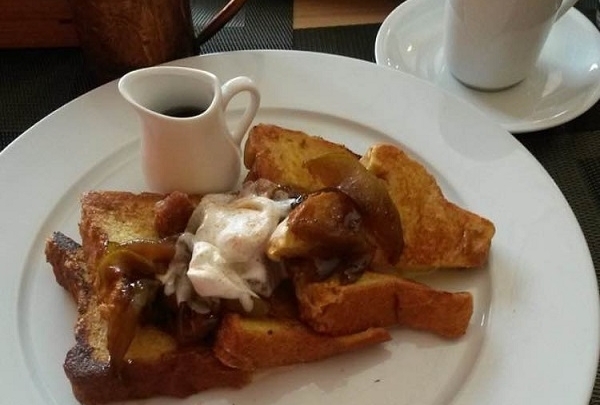 's turns into a buzzing pub with heaping portions of upscale pub grub and delicious drinks. Be sure to try their famous Irish coffee or a tall glass of Guinness with a shot of espresso poured over. A local menu from the produce to the beverages lets you savor the regional flavors of Cleaveland at Urban Farmer. 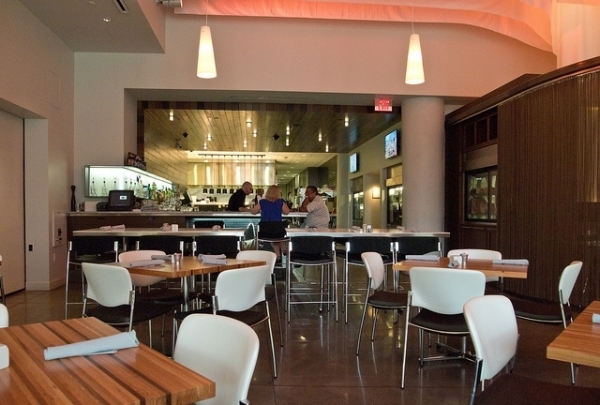 Specializing in steaks, Urban Farmer is a farm-to-table destination for foodies. The cornerstone of the menu is built on locally sourced, sustainable produce. Upcycled interior accents and furniture transport diners to a bucolic dining space, a perfect match for the farm-fresh food served within. Local beers and liquors add that extra bit of regional flair. 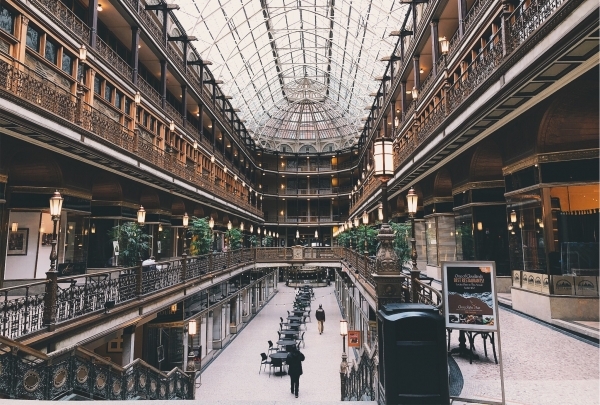 A social shopping hub of Cleveland, visit this buzzing center for some of the best dining and shopping in town. Casual to gourmet, its here. Crocker Park Shopping Center offers great dining, entertainment, and shopping. Restaurants range from casual to upscale and include Five Guys Burgers & Fries, Vieng's Asian Bistro, Brio Tuscan Grille, and Bar Louie. You can even do your grocery shopping at Trader Joe's. Shop for designer goodies at stores like Nordstrom Rack, Express, Sephora, and J. Crew. Enjoy panoramic views of Cleveland alone or with a loved one from this 42nd-story observation deck, situated within a landmark skyscraper. No visit to Cleveland is complete without enjoying panoramic views of skyscrapers and gardens. 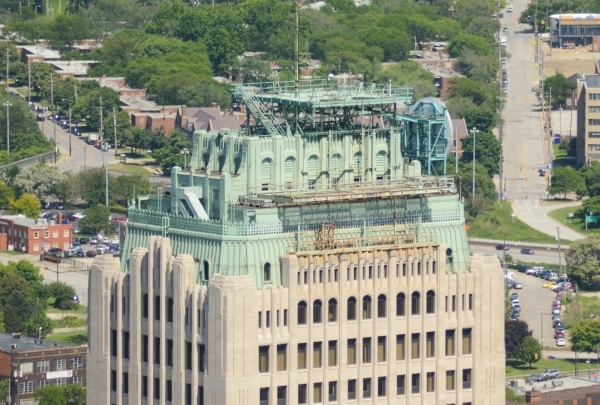 The Terminal Tower Observation Deck is situated on the 42nd story of the historic 52-story Terminal Tower, which was constructed in the early 20th Century. This iconic skyscraper was one of the tallest in the world at the time of its construction. The Observation Tower offers a 360-degree vista of up to 30 miles (48.28 kilometers) that includes the main city, suburbs and Lake Erie. This deck has been closed twice since its construction, and today, it is difficult to get tickets due to its immense popularity. 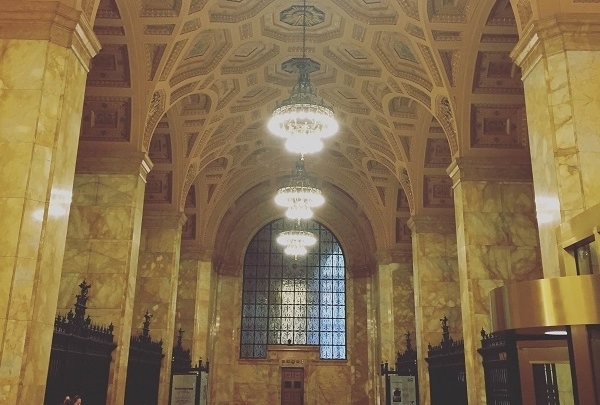 Besides enjoying the bewitching views, visitors can also learn about the Terminal Tower's fascinating history. Resembling a luxury liner delicately balanced on a cliff, this restaurant offers views of Lake Erie from its cruise-ship interiors. Pier W is an iconic restaurant in Lakewood and is as much an attraction as a dining place. The façade and interiors of this waterside restaurant resemble a luxury liner and the entire building appears to be suspended from a cliff. Seated around its curved bar with blue mood lighting, it is easy to feel like you are on a cruise ship complete with stunning views of Lake Erie. Enjoy dinners at one of the most romantic spots in the city with windows that reveal a night sky filled with stars. To the sound of soothing live melodies, guests can savor dishes like Coupole Aged Goat Cheese from Vermont, Oyster with Horseradish Cocktail Sauce, Walleye Tempura and Crab Stuffed Gulf White Shrimp. 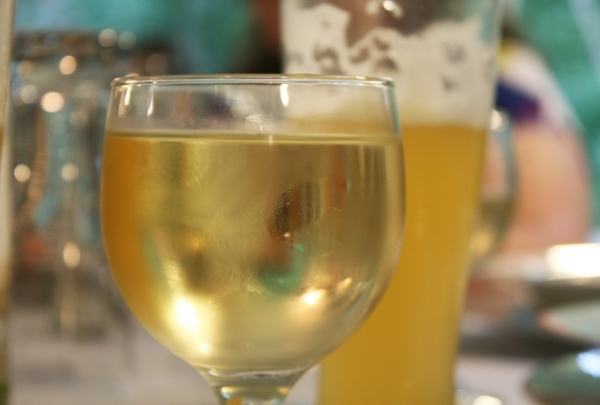 The seafood is complemented by a glass of Riesling, White Zinfandel or Spanish sparkling wine. This restaurant can also be hired for private parties. Get nostalgic at this old-school bowling alley, with its 20 lanes, snacks and recreation. They play host to local live gigs as well. For the ultimate bowling experience in Lakewood, head to Mahall's. 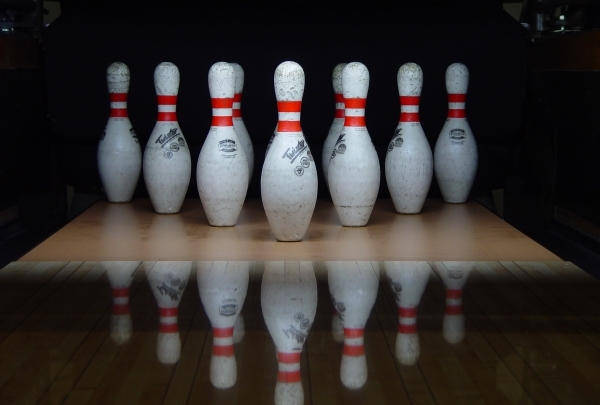 This locally-owned bowling alley features 20 lanes set in a retro-style ambiance that is sure to take you back decades. Be it leisure or a league, engage in some team spirit, or organize your private party here. Their food counter offers American classics like Fried Chicken, Burgers and Tacos as well as snacks like fries, popcorn and nachos. From big to small, this Cleveland Heights store sells all kinds of global goods from hand carved furniture to the popular jewelry. Located in the heart of Cleveland Heights, City Buddha is a store-house for accessories as well as unique table-top souvenirs that are appeasing to the eyes. Opened by an art lover, Larry Collins, the shop is a treasure house that has a collection of handcrafted silver, beaded jewelry, clothing, and colorful home wares, that are bound to take your heart away. These products are directly sourced from the artisans, hence, you can vouch for the authenticity and quality of the products. 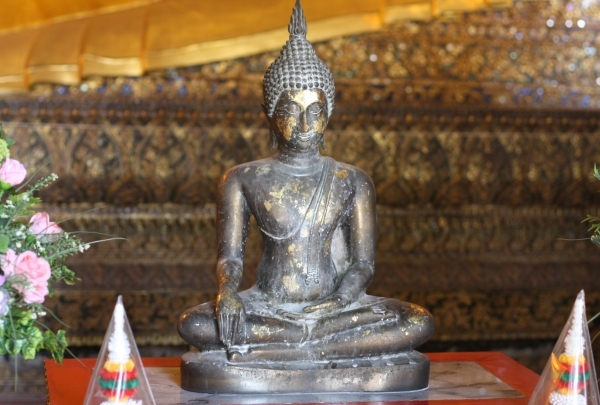 The eye catching statues of Buddha are truly worth to take home as artistic souvenirs. Learn all about the history of money! The Federal Reserve Bank and Money Museum is a free museum located just a few blocks from the hotel that offers a fun and interactive family-friendly experience. A neighborhood pub located in downtown. 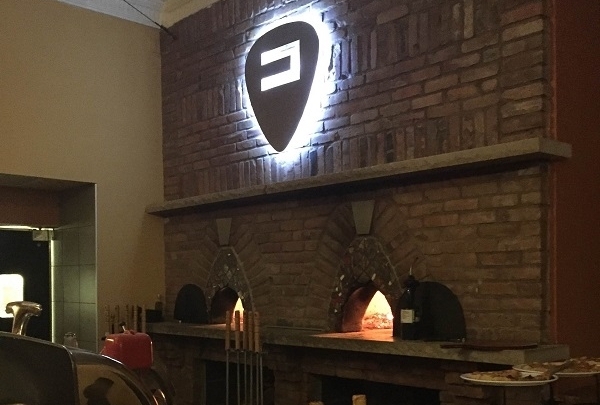 Serving some of the best pizza and pub fare in Cleveland, Gillespie's Map Room is a classic neighborhood pub that is a local favorite in the historic Warehouse District. 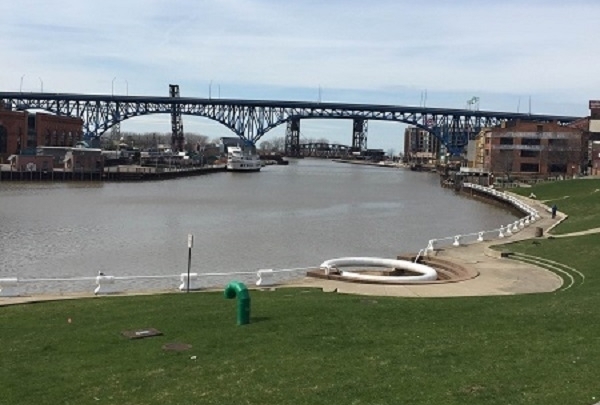 Located on the Cuyahoga River, Settler's Landing Park is a great place to sit and relax and watch the steamships pass by. A New American eatery in a historic setting. A sleek historic bank setting that offers a wide range of New American dishes, including steaks, chicken and a wide range of seasonal selections. Lunch and brunch in the Tremont neighborhood. A fun and friendly place in the nearby Tremont neighborhood, Dante Next Door is a fantastic place to grab a bit to eat in the afternoon hours. 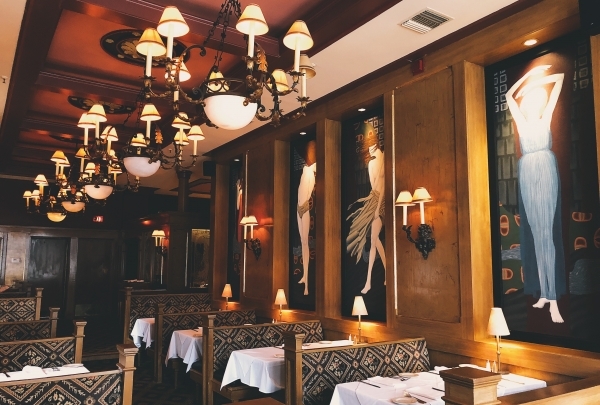 With a unique Italian twist on traditional lunch and brunch fare, head chef Dante and his incredible staff will have you coming back again and again. Michelin starred chef Dante Boccuzzi's flagship restaurant. Situated in a historic bank building, Dante is an exceptional restaurant that has many unique and seasonal options for everyone. Offering several tasting menus and a chef's table, Dante and his exceptional staff will give you a dining experience you will never forget. Exceptional sushi in its proper setting. 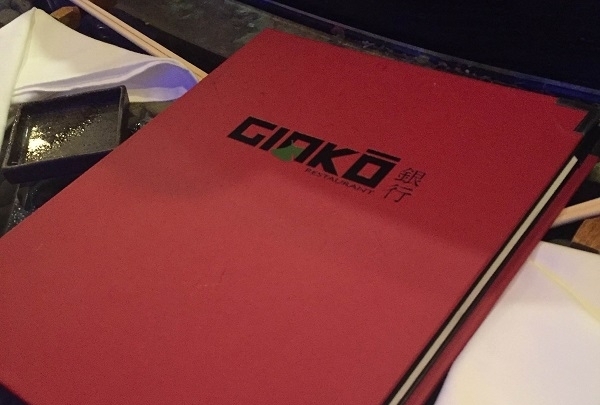 Considered one of the best sushi restaurants in all of America, Ginko is a quaint 40-seat restaurant that is an experience all its own. With a chef's tasting menu and incredible service, Ginko is not to be missed. A unique district with something for everybody. 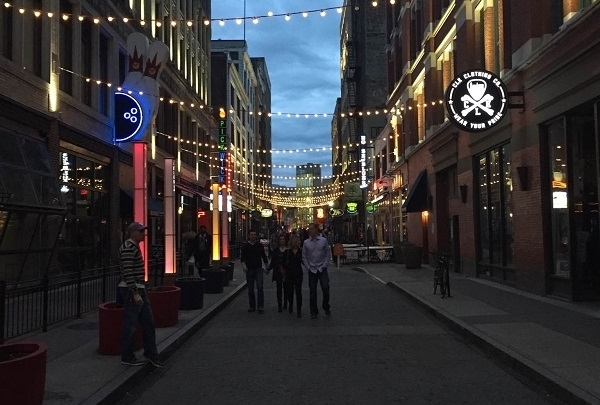 A fun revitalized area of the near West Side of Cleveland that has unique restaurants such as Happy Dog, XYZ The Tavern, and Sweet Moses Ice Cream Parlor. 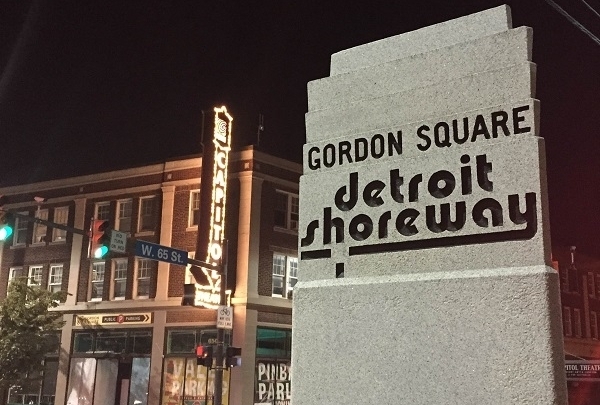 A historic theater that recently reopened to the public and easy access to downtown, Gordon Square is a great place to head for a late lunch and happy hour. Hot dogs, beer, and local live music. A Cleveland institution, Happy Dog is a great place to catch some local sounds and taste some of the great things Cleveland has to offer. 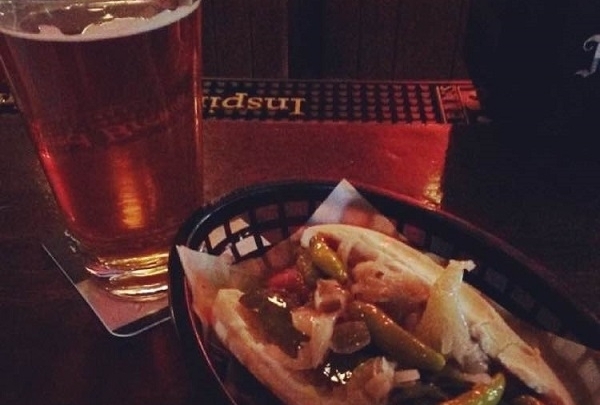 With plenty of local beers and hot dog combinations, Happy Dog will never disappoint. A recently revitalized area with a lot to offer. 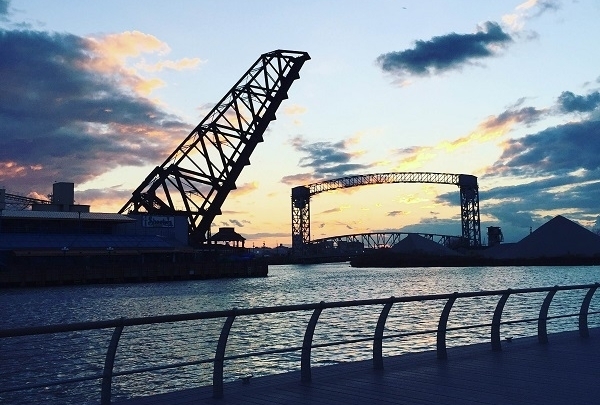 Situated along the Cuyahoga River, The Flats East Bank is a fun new area of Cleveland with a lot of great places to enjoy. 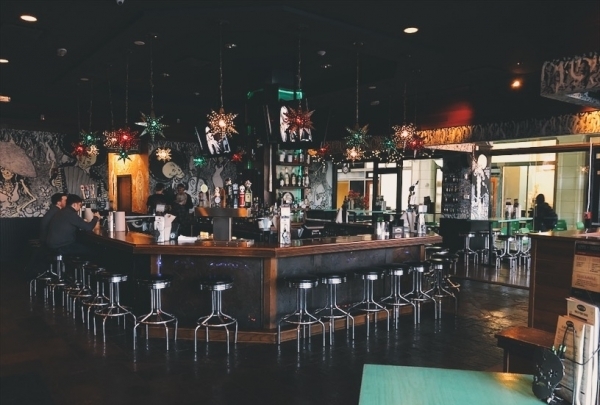 Local favorites such as a dueling pianos bar, an oyster bar owned by a James Beard Award-winning chef, as well as a pool bar and night club are all located here. Be sure to check out this area and support the new local businesses. All request piano bar in the Flats East Bank. 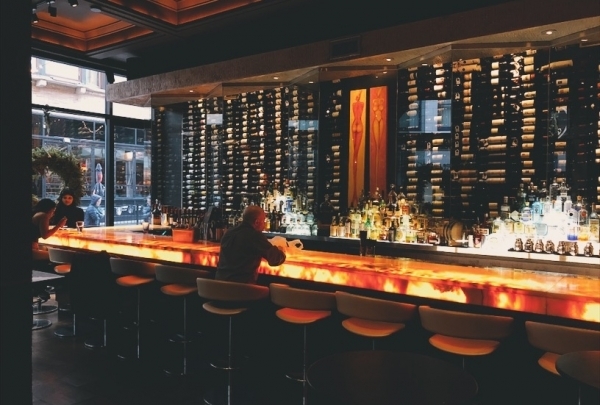 Recently opened, this awesome bar offers a plethora of entertainment for all to enjoy. 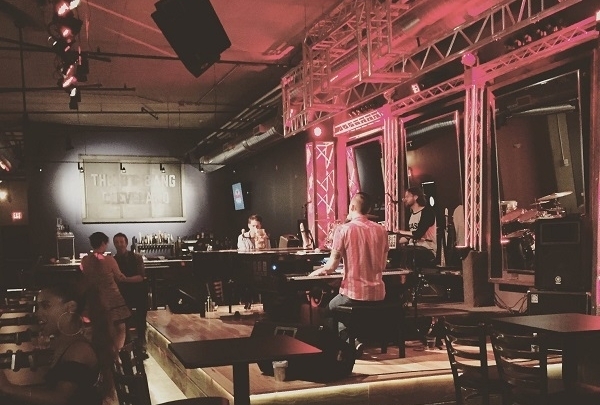 With 2 pianos, a drummer, and a custom cocktail list, you are bound to have a blast at this hidden gem. Cleveland's finest pastries in the heart of Little Italy. 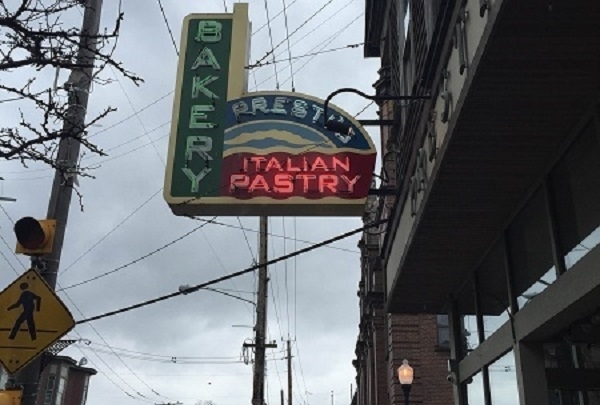 Right in the center of Cleveland's Little Italy neighborhood sits Presti's Bakery. A one-of-a-kind Italian Bakery that has been serving some of the best pastries available for over 70 years. Fresh bread, donuts, cookies, cakes and pastries are still made from scratch using the recipes that have been passed down by four generations. Everything a local sports bar should be. 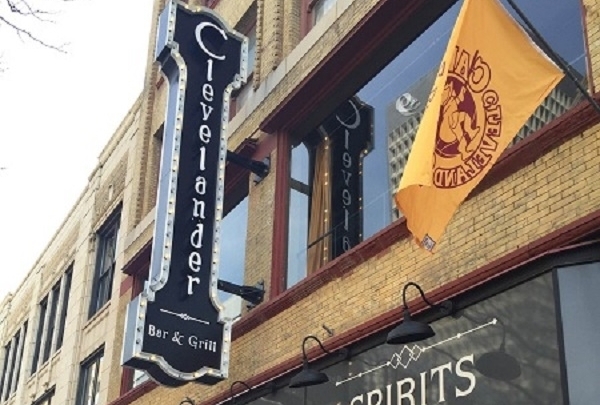 The name says it all - Clevelander Bar & Grill is quintessential Cleveland. 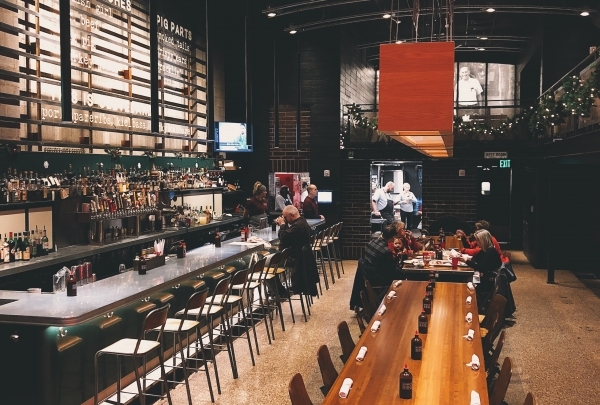 Located in the middle of the Gateway District, this is a great place to grab a drink or a bite to eat before or after a sporting event. With 10 big screen TVs and a wide range of food and drink options, Clevelander Bar & Grill will not disappoint. Escape to Northern Italy in downtown. 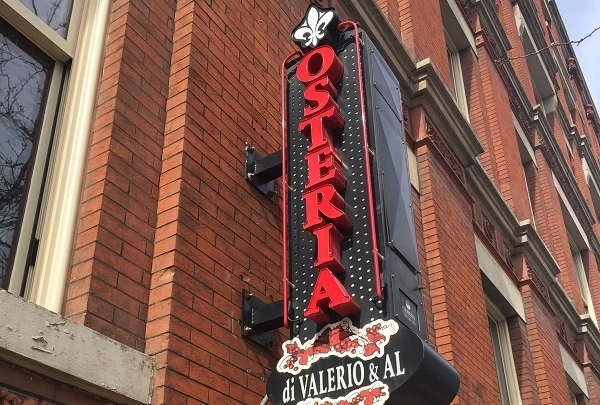 Downtown's finest Italian restaurant, this quaint 14 table gem serves some of the best veal, chicken, seafood, and (of course) pasta that is available. Al and his fantastic service team will welcome you with open arms and treat you like a friend from start to finish. Homemade food, seasonal ingredients, and American cuisine. Mason jars over light fixtures, wood finishes throughout, and a warm and welcoming staff - these are just some of the things that come to mind when locals talk about The Willeyville. A beautiful and rustic restaurant settled right next to the Cuyahoga River. 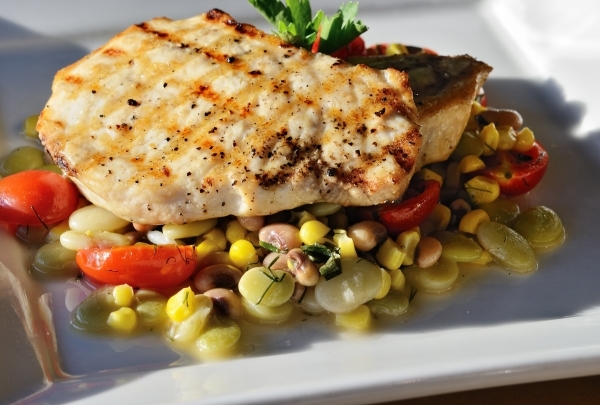 Enjoy a wide range of seasonal fish, beef and chicken dishes as well as their incredible Proper Poutine appetizer. Perfect for before or after a show. 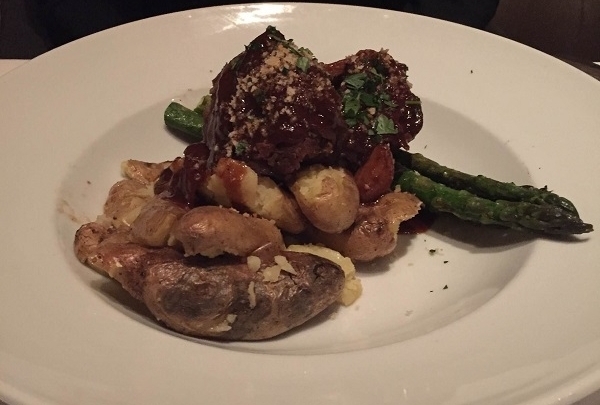 Located just across the street from the world famous Playhouse Square sits Cibreo, a rustic Italian kitchen that has been wowing crowds for many years. With its traditional Italian dishes and daily specials, this wonderful restaurant will keep you talking well past showtime. Gracing the intersection of East 14th Street and Euclid Avenue, this gorgeous chandelier is a must see. 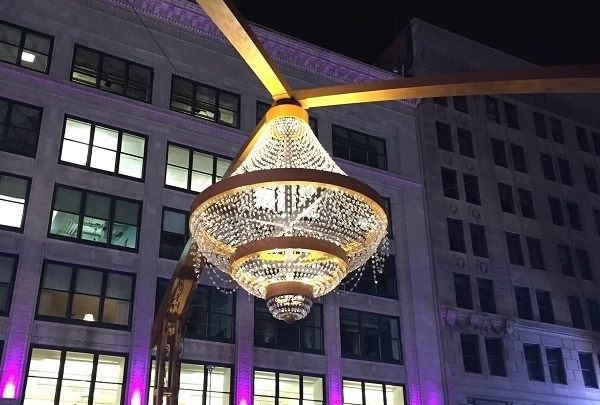 With over 4,200 crystals gracing its beautiful structure, the Playhouse Square Chandelier will surely be glistening at anytime of the day. Experience one of the world's greatest concert halls. 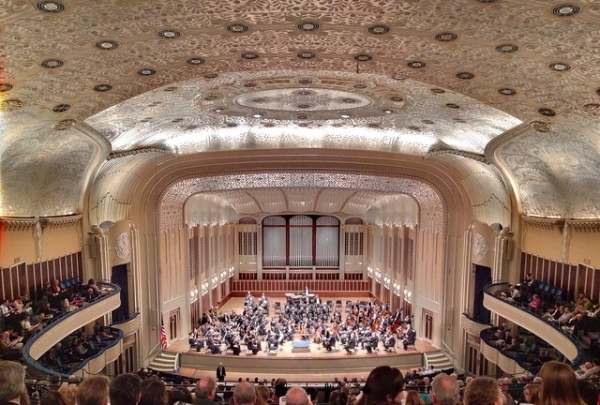 Severance Hall is one of Cleveland's great historical and cultural landmarks. Located in Cleveland's University Circle district, Severance Hall was built to be the home of the world-renowned Cleveland Orchestra. With it's unsurpassed acoustics, and beautiful Art-Deco interior, Severance Hall is regarded as one of the world's finest concert halls. Savor contemporary delights at Brandt Evans' New American café, featuring great vegetarian options. 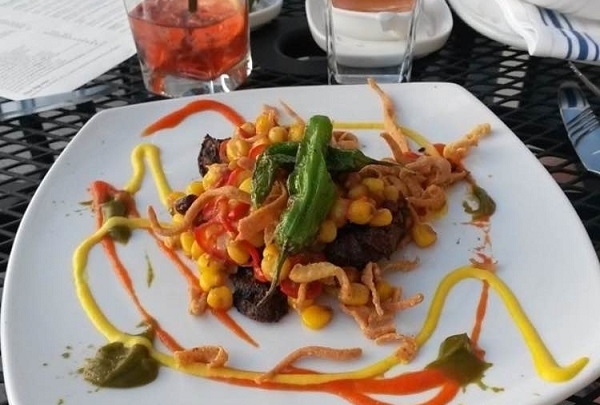 Conveniently located in the heart of Public Square, Brandt Evans's award-winning Pura Vida features a creative menu with fresh local ingredients. It's a terrific spot for lunch and dinner with several vegetarian options. A particularly delicious specialty is their vegan African Peanut Stew. Relish creative fare at Michael Symon's signature restaurant. Lola is the epitome of the Cleveland dining experience. Located in the heart of East 4th Street, Michael Symon's innovative menu features interesting twists on American dishes. One item that's not to be missed is the Beef Cheek Pierogis. Enjoy delicious, reasonably priced tacos at this local eatery. Barrio is a local favorite known for its $3 build-your-own tacos. You can choose from a variety of different toppings, but if you prefer, there are also a selections of the chef's favorite combinations as well. Barrio also has delicious margaritas, and a good selection of local beers. Enjoy beautiful waterfront views at this delightful seafood eatery. 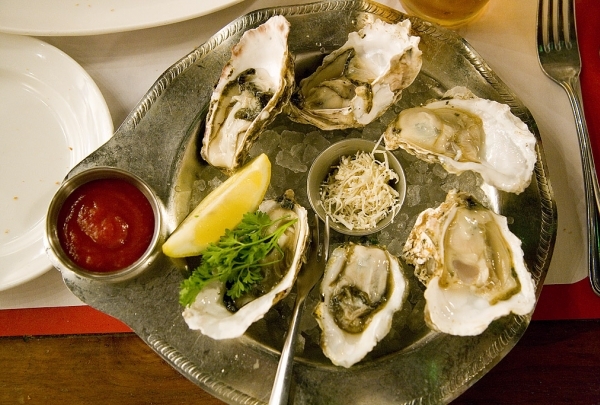 Zack Bruell's Alley Cat Oyster Bar is a staple in Cleveland's bustling Flats. 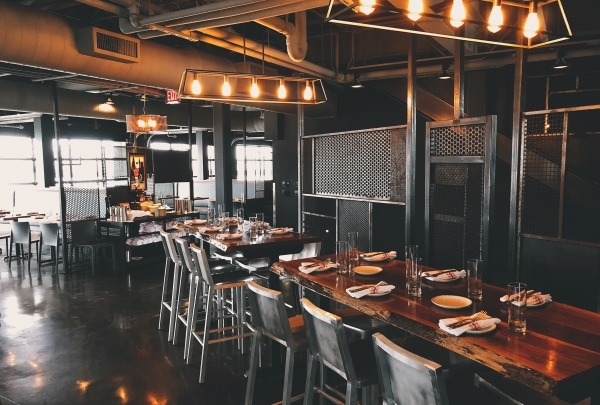 With it's stunning views of the Cuyahoga River, Alley Cat offers excellent seafood fare featuring fresh fish, mussels, clams, and of course oysters. An excellent choice if you plan on spending your evening in Cleveland's Flats district. Relish fine Italian fare with delightful live entertainment in the heart of Cleveland's Warehouse District. 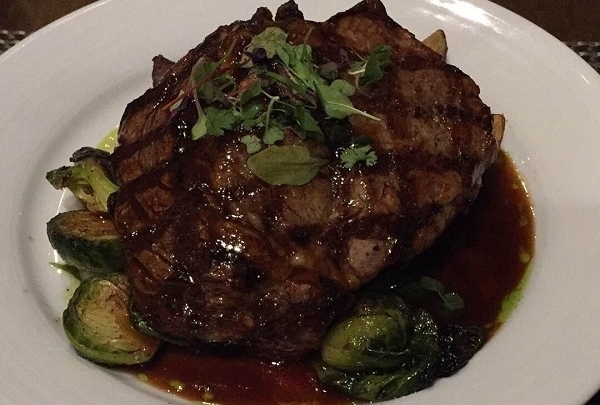 Located in Cleveland's Warehouse District, Johnny's is a local favorite for fine Italian dining. Their menu features pasta, veal, fish, and an excellent choice of wine. Johnny's also features live piano music on a nightly basis which makes it the perfect place for an intimate evening out on the town. 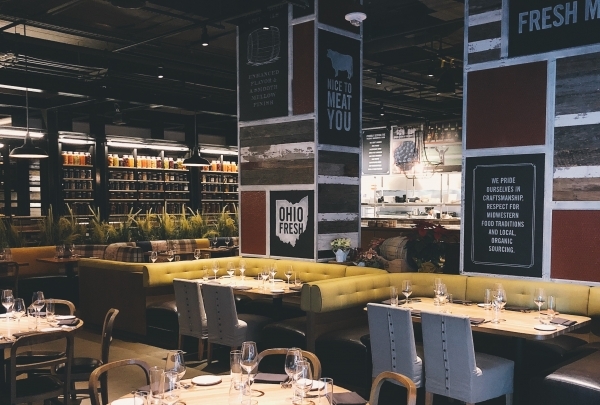 Savor Michael Symon's delightful BBQ joint in the heart of downtown. Michael Symon's Mabel's is barbecue restaurant with a local vibe. Its inviting interior is furnished with communal tables making Mabel's an excellent spot to enjoy a casual meal. Mabel's also features a diverse selection of bourbon that you can pair with your favorite barbeque selections whether it's ribs or brisket. Impressive cocktails in a classic atmosphere is what you can expect at Society Lounge. Society Lounge is a cocktail bar styled in a speakeasy vibe of the early 20th Century. 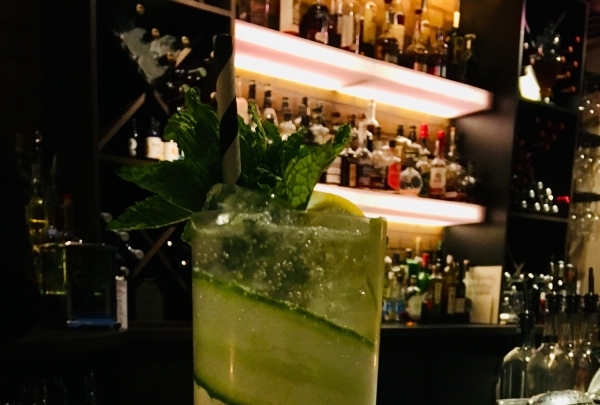 With a large selection of traditional cocktails to please the true connoisseur, Society Lounge creates drinks that strike creativity in appearance and flavor. To drink at Society Lounge gives one the experience of stepping into a timeless sense of class while having your palate challenged in delicious ways!